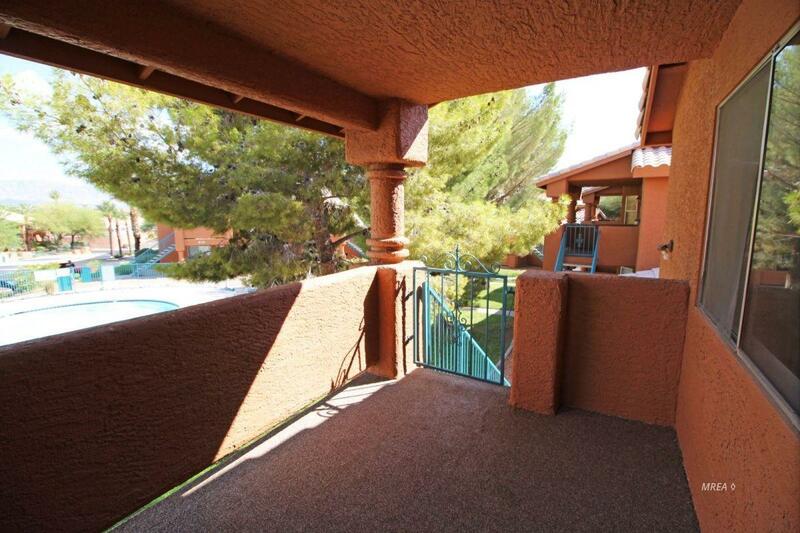 This second floor condo is in a great location near one of two community swimming pools. 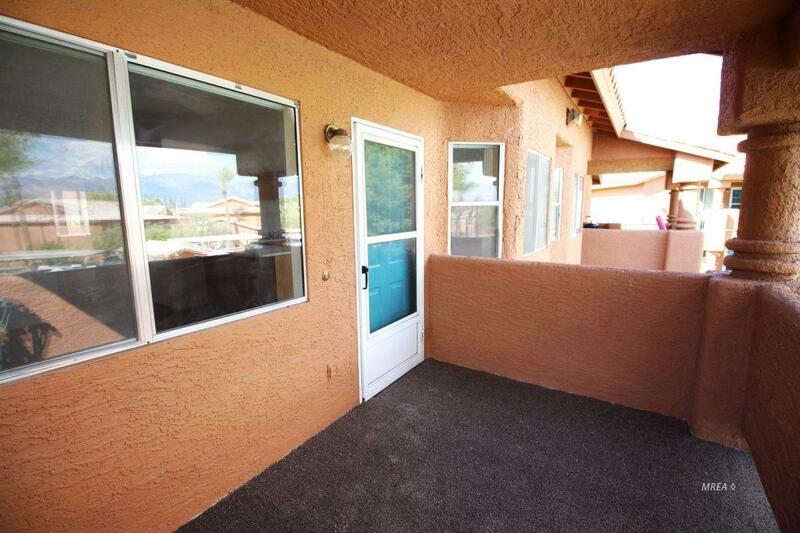 There are spectacular views of the Virgin Mountains from the front newly carpeted front patio. New interior paint welcomes you. The subdivision is professionally landscaped. HOA fees include trash, sewer, water, building insurance, cable TV, landscaping and outside building maintenance. Mesquite offers world class golf courses and world-class day spas, large casinos, fine dining, Vegas Style Entertainment, only 80 miles to Las Vegas, just a few hours to Zion National Park, only an hour to Valley of Fire, 36 miles to Saint George Utah. 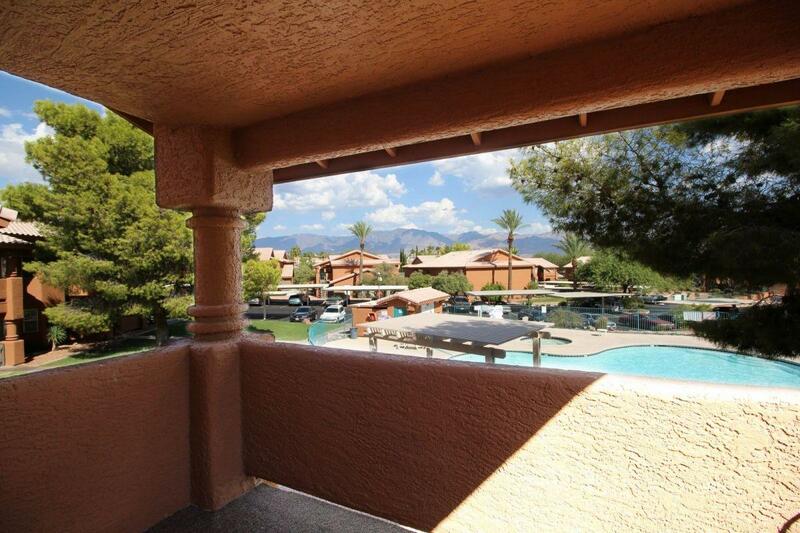 Exterior Features Landscape- Full Sidewalks Trees View Of Mountains Patio- Covered Swimming Pool- Assoc. 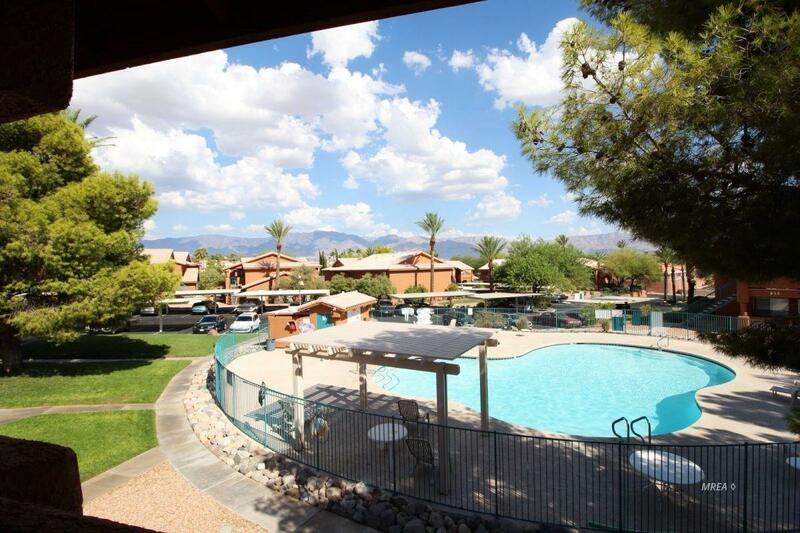 Features And Inclusions Dishwasher Flooring- Carpet Flooring- Vinyl Garbage Disposal Landscape- Full Microwave Refrigerator Sidewalks Trees View Of Mountains W/D Hookups Water Heater- Electric Oven/Range- Electric Patio- Covered Swimming Pool- Assoc. Listing provided courtesy of Penny Walton of Keller Williams Southern Nevada.